Last week we looked atbasic investment planning and proven investment strategies. A pooled investment – sometimes known as an investment fund – is a way for individual investors to diversify without necessarily needing much money. Your money – along with the money of all the other participants – is pooled and then invested. Each pooled investment fund has different, specified objectives. For instance, one might invest in the largest Irish companies, another in UK companies, a third in US gilts and a fourth in looks at the various tech and energy stocks. In each case the fund managers will indicate the type of risk involved. They will also provide you – on a regular basis – with written reports or statements explaining how your money is performing. Since it would be impossible for all but the richest of private investors to mimic what these pooled investments do, they are an excellent way to spread your risk. A typical fund will be invested in a minimum of 50 companies and will be managed by a professionally qualified expert. There is often an entry fee of up to 5% of the amount you are investing though insurance company there are no entry fees.. There will definitely be an annual management fee – usually around 1.5% of the fund total at the end of each year. If you want to sell your share in a pooled investment, you may also be charged a fee. It is sometimes suggested in the media that fund managers are rewarded too highly. My view is that if a fund is meeting its objectives, then it is only fair that the fund managers recoup their costs and earn a fee for their expertise. The funds described below are all medium to long-term investment vehicles. In other words, you should be thinking about leaving your money in them for an absolute minimum of five years – and more like ten years or even longer. Although past performance – as it always says in the small print – can be no guide to future performance, it is still useful to know. One thing to note is who is making the actual investment decisions and how long they have been doing it for. If the individual manager of a fund has changed recently then the past performance may not be so relevant. stock market ‘baskets’ (or guaranteed stock market active funds). This is because all of them are what I would describe as ‘tailor-made investment vehicles’. That is to say they have been specifically designed to meet the needs of ordinary, private investors. This is in direct contrast to, say, un-tailored opportunities – such as buying a publicly quoted share or an investment property – which aren’t aimed at any specific group of investors. This is a fund that guarantees to return your initial investment plus a return based on a specific stock market index or indices. For example, it might give you all your money back after five years plus 80% of any rise in the FTSE 100. Your money is used to purchase ‘units’ in an investment fund. The price of the units will vary according to the underlying value of the investments. For instance, if the unit trust specialises in European technology shares then it is the value of the shares it holds which will determine the price of the units. You can sell your units at any time but you should be wary of buying and selling too quickly as charges and fees can eat up your profit. As above, but with the added element of a tiny bit of life insurance so that they can be set up and run by life insurance companies. Again these are – in essence – unit trusts. The term is used to denote a fund which makes a wide spread of investments – thus theoretically reducing the risk, though you should not assume that this is the case. I particularly like Irish Life’s Multi Asset Portfolio (MAPS) Standard Life’s MyFolio funds and Zurich’s Prisma funds. Ranging from #1 fund to #7 depending on the company, the lower the number, the more cautious the fund. With these, you don’t have to worry about individualising your stock selections, you just stick to your lanes depending on your attitude to risk with the free swaps. A fund that concentrates on a very specific market opportunity – such as oil shares or companies listed in an emerging market. This is obviously riskier but if the underlying investment performs well, then you will make above-average returns. This is a fund that aims to match the overall market performance. For instance, you might have a fund that plans to achieve the same return as the UK’s leading 100 shares (FTSE 100). 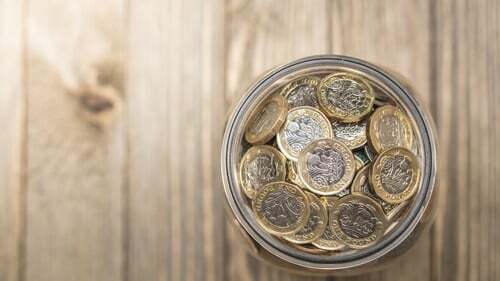 These funds are run by insurance companies and they guarantee a minimum return plus extra bonuses according to how the fund has performed over the longer term. These bonuses might be added annually (annual bonus) or when the fund is closed after the agreed period of time (terminal bonus). The terms, conditions, objectives and charges for these funds vary enormously. Investors or their advisers choose a number of stocks, which can range from blue chip shares (such as the big banks and retail groups) to downright risky stocks. Depending on how risk-averse you are, a percentage of your ‘basket’ will be conservative solid choices, while the smaller percentage will be a little bit of a gamble. Diversification is again the buzz word – the greater the spread or choice of stocks, the softer the fall if there is to be a fall. Futures, options, hedge funds, exchange traded funds, derivatives, contracts for differences (CFDs) and the like all form part of the specialised investment sectors of the stock market. Good solid advice is essential if you wish to participate in this area – not for the feint-hearted. There is a large number of alternative investment options, all of which come with varying amounts of risk. Some, such as gold or other precious metals, are easy to buy and sell. Others, such as art, may have a limited market, making them difficult to find a buyer for when you want to dispose of them. collectibles such as rare stamps, coins, classic cars or watches. In general, alternative investment is ‘direct’ – this is to say, you purchase the actual items. Specialist knowledge is vital if this is to be a genuine investment and you should not consider alternative investments until you have a reasonably high net worth and a portfolio of more conventional investments since the risks can be high. Always seek professional independent advice. For more information click on John Lowe's profile above or click here for his website.